In the past, contact centers were designed to serve as many customers as quickly as possible. 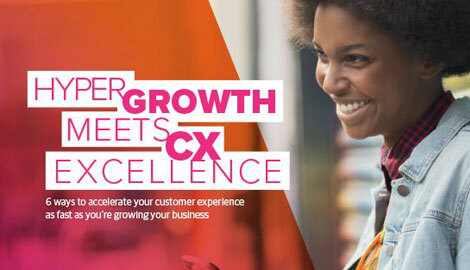 While that’s still true, increased competition and empowered customers are also pushing customer service associates to be better informed and empathetic. Simply put, contact centers need to deliver more human experiences. But what does it mean to provide a human experience? A human experience means tailoring an experience to meet the customer’s expectations and needs versus being purely profit-driven. The contact center is a prime area to implement this approach. As the vice president and general manager of TTEC Canada Solutions, I help clients understand that customer service is more than a cost center—it’s an opportunity to uncover customer insights and differentiate brands. Every phone call, email, text or online chat is an opportunity to convert a satisfied customer into a loyal customer (and ultimately drive revenue). And the industry is evolving every day. Companies must understand their customers’ expectations and behavior. And in today’s always on, hyper-connected world, consumers expect brands to let them move seamlessly across channels at their convenience. A customer, for example, might initiate a query on the company’s self-service or FAQ section, do further research on the company website, and finally speak with a representative for clarification. Companies know that they need to have the infrastructure in place to accommodate this type of omnichannel customer behavior. For example, when a customer searches the company website, it’s common for a “click to call” message to pop up with a unique phone number to connect with a representative. The phone number enables the representative to identify the caller’s online history and immediately understand the context of the call. It improves the quality and effectiveness of the interaction on both sides. Such connections between channels are becoming more common. But it’s only going to get more complicated. Case in point: The Internet of Things. The IoT is a catalyst for change by enabling unprecedented connections between devices and applications. Companies will need to invest in more efficient tools and strategies to keep up with an ever-expanding constellation of customer touchpoints. Not all companies, though, are able to create their own data science team or purchase the latest data integration tools to consolidate and manage all of those data points. Therefore, expect more businesses to look to external partners to help fill in the gaps. Journey mapping allows companies to track and identify areas of the customer experience that need improvement. For example, we worked with a telecommunications client who had received numerous complaints about technicians who were either late or missing customer appointments. By helping the company create a journey map, we discovered that a large number of service tickets were missing essential data or were misdirected and slowing down the dispatch system. Identifying the holes in the customer journey enabled the company to find a solution sooner and increase customer satisfaction. While this was a relatively straightforward problem, the company already has the foundation to add additional touchpoints to its journey map as the business continues to grow. Labor innovations is another key trend. As the minimum wage rises, companies are increasingly looking to automated solutions to offset costs. Ontario’s decision, for example, to increase its minimum wage to $15 an hour by 2019 has spurred reports of employers considering replacing workers with machines. In fact, Canada could lose up to 7.5 million jobs to automation over the next 10 to 15 years, according to a think tank at the University of Toronto. At the same time, chatbots and other self-service channels are not a direct replacement for human interactions. Human associates are still needed to solve unique and unpredictable problems. Empathy training and empowering associates with more autonomy will therefore become important as employees are faced with situations that can’t be handled at the frontlines by a chatbot. It’s also possible that these changes will create a more rewarding experience for employees as they receive fewer repetitive tasks and can focus on connecting with customers. The confluence of technology and changing customer behavior presents companies with new opportunities and challenges to better serve their customers. Businesses that implement changes that are not customer centric may do well for a while, but will quickly be overtaken. The companies that understand customers simply want to be treated as humans and figure out how to do that effectively and efficiently will be the ones that thrive.